Silicone 825 a low modulus silicone sealant for expansion joints to stone, brick, concrete and composite panels. Perimeter pointing around all types of windows and door frames. Range of colours available. Nitoseal MS60 for sealing joints in concrete, brickwork, blockwork, perimeter sealing around doors and windows, and non-trafficked floor joints. Available in a range of colours. Nitoseal MS100 a one part, primerless, non staining facade sealant. For most commonly met building substances. Also acts as sound insulator. Excellent U.V. and weather resistance. Arbothane 1245 is a single part polyurethane sealant suitable for expansion joints, structural cladding joints and floor joints. It is not recommended for use with natural stone. Arbokol Secure It is an anti-pick / non-pick / anti-vandal / vandal-proof sealant. 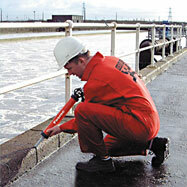 As the name suggests this sealant provides a strong bond strength so it is ideal for applications in heavy duty areas where damage might be expected such as perimeter sealing of doors and windows in prisons, police stations and other custodial facilities as well as schools, public toilets and mental health facilities. Also an ideal sealant for fixings and sanitaryware. Resujoint a two pack, pourable, polyurethane elastomeric floor joint sealant. 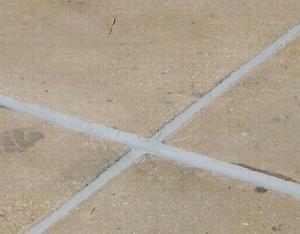 Expoflex 800 a tough resilient sealant designed to resist traffic abrasion when installed flush to the concrete surface. High chemical resistance. Resujoint P a flexible polyurethane modified epoxy resin sealant designed to accommodate joint movement and to resist traffic and chemical attack. Thioflex 600 pouring grade is recommended for use in movement joints (contraction and expansion joints) and stress relief joints in floors and other horizontal surfaces. Hybriflex FL a one part, chemically curing, solvent-free sealant and adhesive combining the best qualities of silicone and polyurethane technologies. It is specifically designed as an easy flow flooring grade for all concrete saw cuts and floorslab expansion joints, where abrasion resistance is required. Arbothane 1245 a one part polyurethane floor sealant. It has good adhesion to concrete, brickwork, and metal but is not recommended for use with natural stone. Moderate resistance to most dilute acids and alkalis.If a primer is required use Arbokol AG2 Porous Primer. Hybriflex FL a one part, chemically curing solvent free sealant and adhesive combining the best qualities of silicone and polyurethane technologies. It is specifically designed as an easy flow flooring grade for all concrete saw cuts and floors lab expansion joints, where abrasion resistance is required. 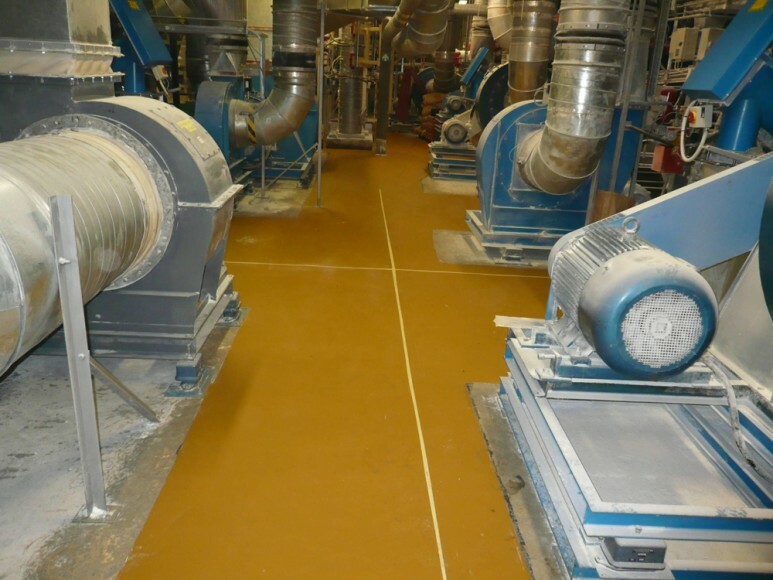 Thioflex 600 fuel resistant expansion joint sealant for factory floors and movement joints. Available in pouring or gun grade. Colpor 200PF for sealing and maintenance of joints in concrete roads, concrete runways and hard standings. Particularly suitable for sealing where fuel and oil spillage may occur on aircraft fueling areas, oil terminals, garage forecourts, parking and cargo areas. Flamex Fire Protection for fire protection in expansion and construction joints in floors, walls anc ceilings, confining smoke and fire, giving extra time for people to escape from fire situations. Flamex S a one part low modulus fire rated silicone sealant for fire protection of curtain walling, building facades. expansion joints and penetration seals. Firefoam B1 a quick-setting fire rated, one part polyurethane foam. It expands on application to yield up to 50 times the can contents and meets the extremely stringent requirements of the text criteria DIN 4102 Part 1 for Construction Materials, Class B1 and BS 476 Part 20. Fire rated up to 4 hours in certain joint configurations. For use with an foam gun, once cured the foam can be cut, sawn or plastered over after only one hour. Firemate 1 is a five hour rated, one part, emulsion acrylic based, intumescent Acoustic sealant that gives a firm yet flexible seal to joints in a variety of fire rated structures. Supercast SWX is a swellable hydrophilic sealant ideal for sealing around steelwork and pipe penetrations in water excluding (cellars, basements, retaining walls) and water containing (tanks, reservoirs, silos, bunds) structures. It swells if water comes into contact with it, expanding by 200% to produce a watertight compression seal. See our Waterbars and Waterstops page for further information. 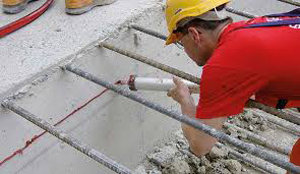 Sikaswell S-2 is also a swellable hydrophilic sealant that is used to prevent water penetration through water containing and water retaining structures at pipework, steelwork, and other penetrations, and construction junctions particularly for difficult cast in situ concrete details. Pumaintain Joint Repair - a 3 part flexible, hard wearing, rubber reinforced, arriss and joint repair mortar. Self priming. Cures at zero degrees C. Very tough joint repair solution. Metobond 1:1 - a 2 part epoxy building adhesive, which is mixed at a ratio of 1 to 1 volume of hardener to resin. Adheres to almost any surface, stone, brick, concrete, timber, copper, marble, ceramic, tile, etc. Also suitable for repair applications, including vertical and overhead, crack/void filling, grouting and sealing.